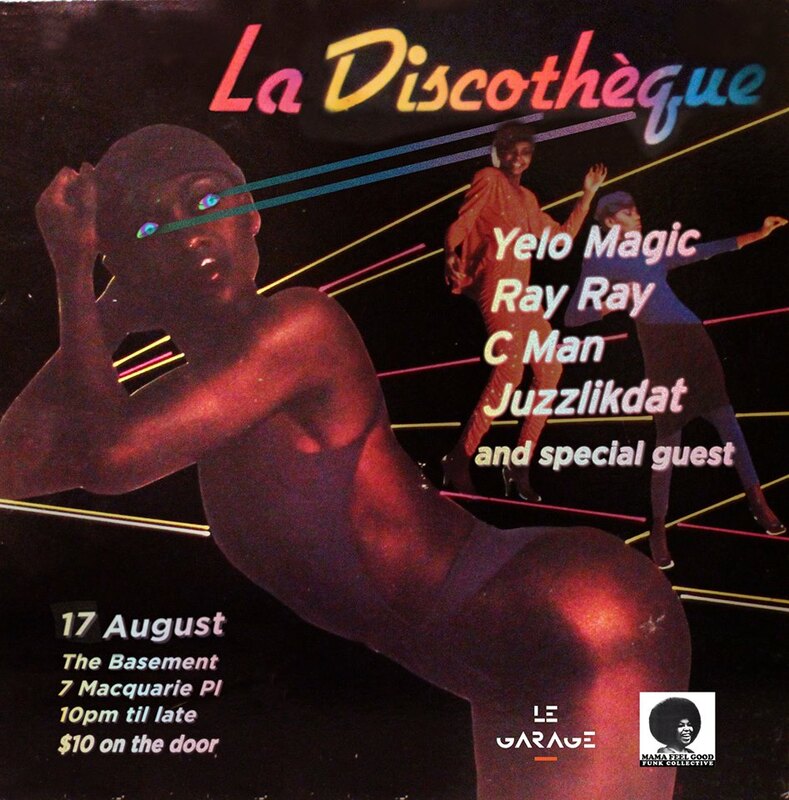 EVENT: La Discotheque @ The Basement [FUNK, BOOGIE, DISCO, HOUSE] SAT.17th AUG – DJs YELO MAGIC, RAY RAY, CMAN & JUZZLIKEDAT | SOUL OF SYDNEY FEEL-GOOD FUNK SOUL DISCO vibes & beyond. This entry was posted in Deep House Sydney and tagged boogie, cman, disco, funk, house, juzzlikedat, ray ray, sydney events, the basement, yelo magic. Bookmark the permalink.